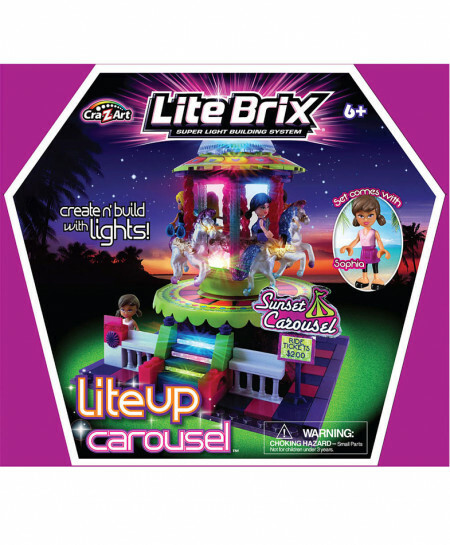 This Lite Brix Lite Up Carousel is a fun and colorful Sunset Island Mall accessory! Create n' build with lights! Plays music! Set comes with 70 pieces, including Sophia and Chloe. Ages 6 and up.